An easy-to-assemble refugee shelter designed by Better Shelter, in partnership with IKEA and the UN Refugee Agency (UNHCR), has won the Beazley Design of the Year award, presented by the Design Museum in London, and was named the best design of 2016. The portable shelter is made of recyclable plastic and can be assembled by a team in as little as four hours. 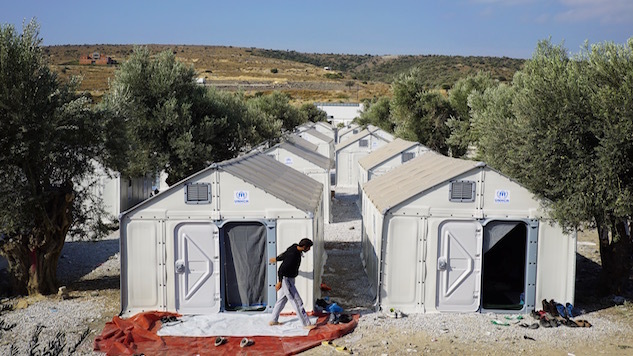 Better Shelter is just one enterprise that has partnered with IKEA’s philanthropic arm, the IKEA Foundation. The social enterprise’s goal is to provide displaced people with a safe, dignified place to call home and to be innovators in emergency and temporary shelter creation. With space to accommodate a family of five and a solar panel used to power lights and charge other devices, the modular building has been put into use all over the world as homes and temporary clinics. As one of the most pressing issues facing society today, Better Shelter provides a way to help accommodate displaced people and drastically improve the quality of life for those uprooted by violence or disaster. This is not the first time a design oriented toward addressing social issues has beaten other, flashier designs for the award. In 2015, a microchip-like device that mimics the functions of human organs won over Google’s self-driving car. Better Shelter’s triumph exemplifies the attention being given to social impact in the world of design and is one more step toward affordable and sustainable emergency housing. Lauren Leising is a freelance writer based in Athens, Georgia.